Happy Thursday to you. Its nearly the end of the week again…….. where do they go!. Roy and Steve have been busy designing some new products for us girlies on the DT to alter and share with you. 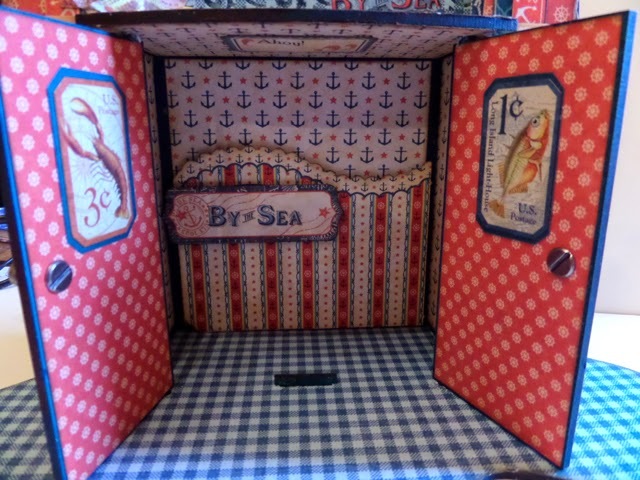 The above is a Punch and Judy Box, and as I'm sure you've guessed I've altered it with the By the Sea papers by G45. I've just confirmed some more Create and Craft shows for the end of the month so thought I'd better get making a few more samples. 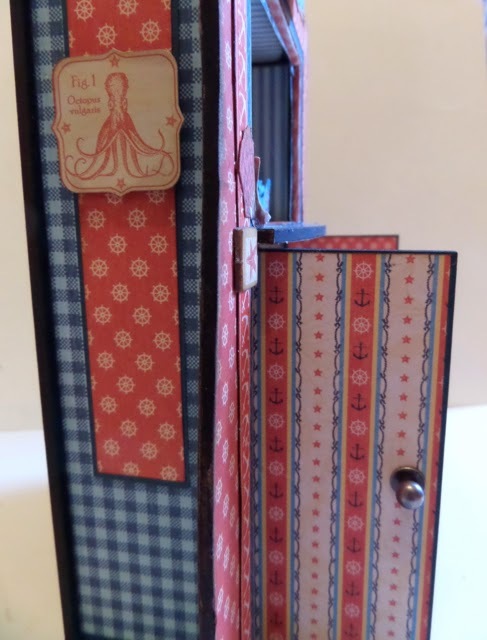 I've used bits from everything in this collection, both sized papers, pockets, stickers and some carefully hidden magnets to hold the cute little craft ATC tag album inside the cabinet at the bottom. 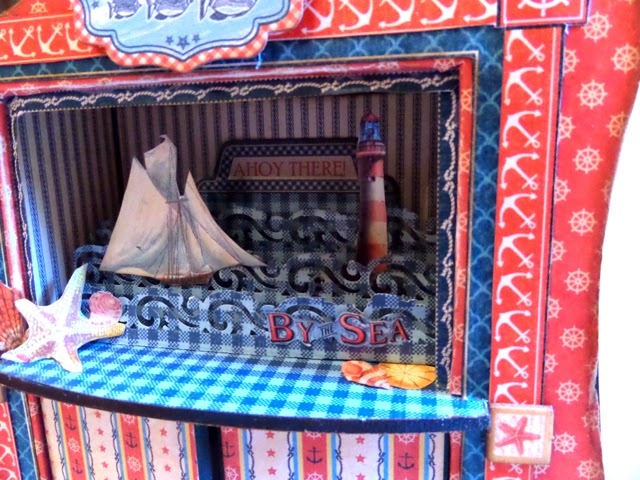 I didn't have Punch and Judy puppets to add ingot he Theatre at the top of the box so thought I'd make a sea themed scene. The waves are cut out using an EK Success punch I bought about three years ago. It's just perfect for making a wave effect. Here's a few more pics of the detail. 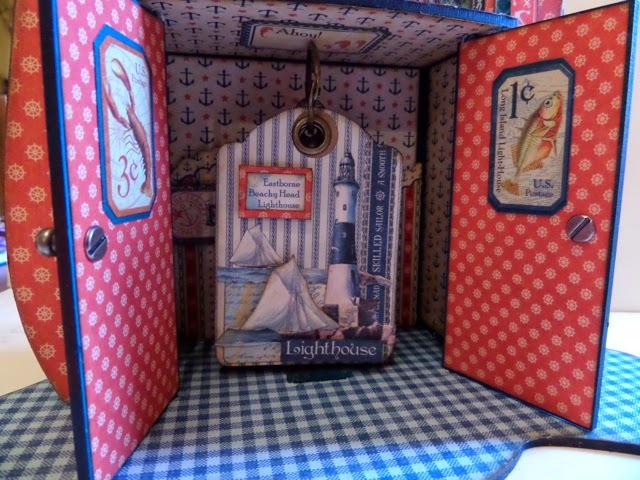 If you fancy making one yourself the MDF blank Punch & Judy Box is available to order in our blogshop. gorgeous so beautiful made Clare. This is fabulous Clare! Have a wonderful evening and Happy Easter! 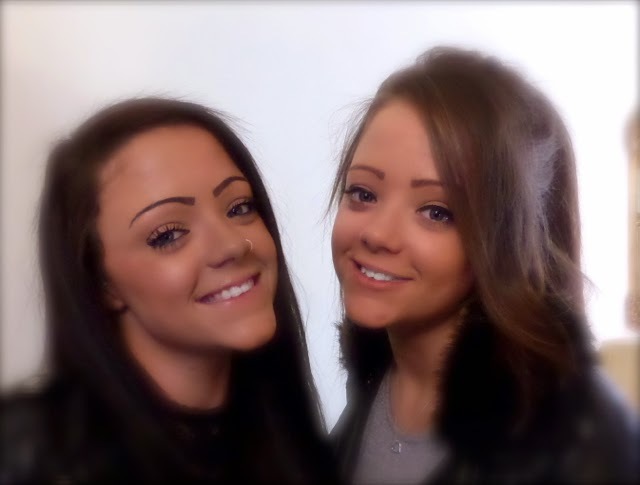 Hi Clare, Happy Birthday to the girlies, it is also my Daughter Paula's Birthday today too, she is 47 today. 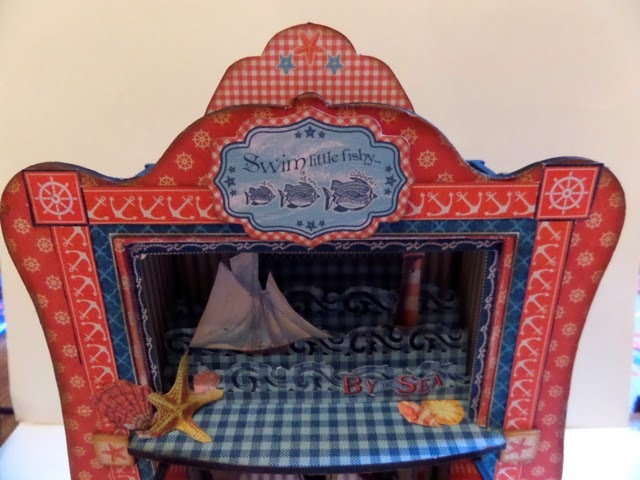 Your punch and judy set is stunning, I will have a closer look later, I'm off to Church now, it has been so hectic already today, Eastertide is hectic every day at our Church. 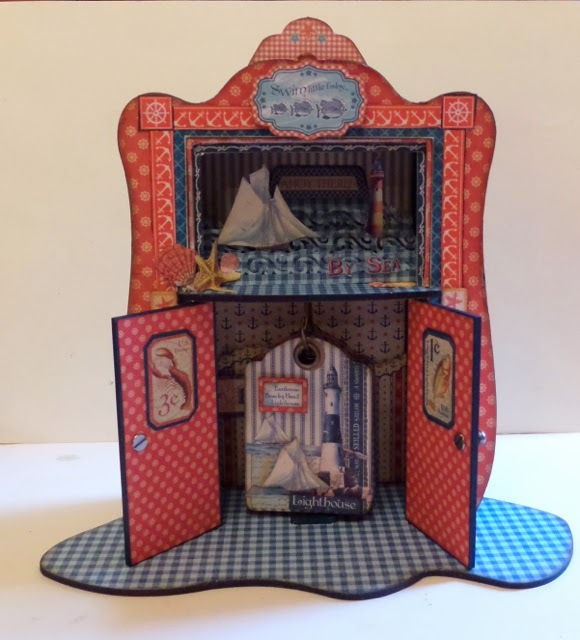 This Punch & Judy box is right up my alley as we say, or in other words my kind of thing to make!!!! So very cute. I adored our chat this morning for me and afternoon/evening for you!!! I am anxious to get going to the crop and work on my albums so I can post photos to you again!!! Have a lovely birthday dinner with the whole family, the girls are gorgeous, your boys are indeed handsome and you and Andy are gorgeous as well!! Don't forget the pics of the cake!!! Can't wait for your next project. Happy Easter!! Hi Clare, a fabulous project, love all the detail. Have a lovely Easter.